The world is once again trying to come to grips with a terrorist attack that has claimed innocent lives. In Brussels, Belgium on Tuesday, two bombs went off at Zaventem airport and one at the Maelbeek metro station, killing more than 30 people and injuring dozens. In the U.S., presidential candidates responded to the attacks in varying ways, from succinct expressions of condolences to overt political posturing. The way our politicians talk about the attacks tells us something important about them: how they understand terrorism and the world we live in. It also tells us whether they are more inclined toward solidarity or divisiveness. Gov. John Kasich's response to the Brussels attacks was a prime example of the latter. The wave of terror that has been unleashed in Europe and elsewhere around the world are attacks against our very way of life and against the democratic values upon which our political systems have been built ... We must strengthen our alliances as our way of life and the international system that has been built on our common values since the end of the Second World War comes under challenge from these and other actors of evil. Framing terrorist groups as "enemies of the West" ignores how terribly people in the East — people who don't have "our very way of life" — have suffered at the hands of these groups. In 2016 alone: More than 65 people were killed by a truck bomb in Zliten, Libya on Jan. 7. On Jan. 16, ISIS is believed to have murdered more than 130 people and abducted more than 400 in Deir el-Zour, Syria. In February, more than 300 activists, police, and army personnel were executed by ISIS members in Mosul, Iraq. ISIS took responsibility for separate attacks that same day in Homs and Damascus, Syria which claimed at least 122 lives. And these are only a very few of the attacks that have occurred in 2016. It doesn't take into account the al-Qaeda-affiliated Al-Shabaab in Somalia, or Nigeria's Boko Haram, two other fundamentalist groups. These groups are enemies not specifically of "our way of life" or of the West, but of anybody's way but their own. We're not as surprised to hear about violence happening in places that are experiencing civil war or which we generally associate with governmental instability as we are when it happens in a place like Brussels or Paris. David Graham at The Atlantic described the "empathy gap" between our responses to attacks in Europe and attacks in the Middle East or beyond. But while we feel our shock and our sorrow, we should be careful not to deny the suffering of others by framing terrorist groups as specifically our enemies. 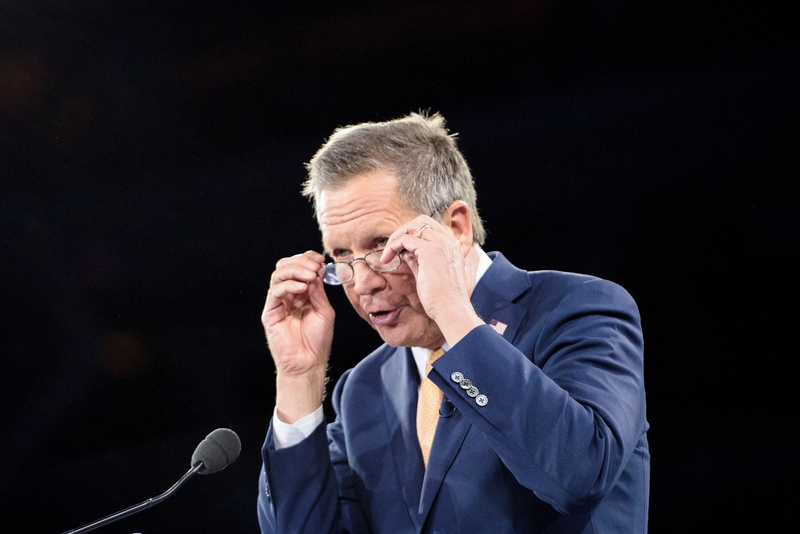 Kasich's rhetoric fuels the kind of Muslim vs. Judeo-Christian, brown vs. white, East vs. West divisiveness that can make us forget that suffering is suffering, and it is equally abhorrent whether it happens in Damascus or in Brussels or San Bernardino.